After all our trouble with confidence this winter, I think the long hours of grooming and groundwork and boring schooling drills are finally starting to pay off for Magic and me. It’s not easy to see. 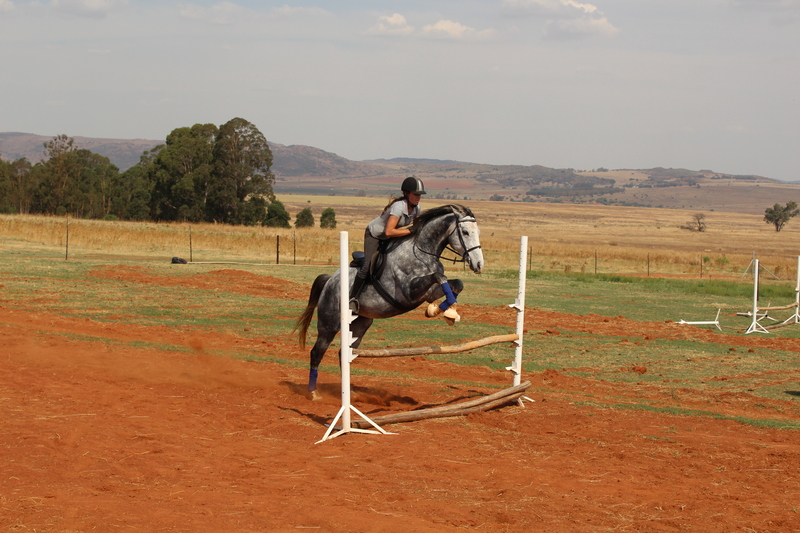 Obviously, he looks a lot better on the flat than he used to; but his jumping is pretty much the same. He is a little more sensible about it, but can still do the weirdest things in midair (see below), and we’re still toodling around 70cm verticals. I’m not as all over the place on him as I used to be, but I still look like I’m levitating above him over the jumps instead of staying with him. But it all feels so different. When I go to catch him now he comes to me with bright eyes and an expectant (adorable) little nicker. After I’ve ridden him he likes to hang out with me, just grazing around me until I leave, then he trots off to join Skye on whatever mission she’s accomplishing. Best of all, I think I’m finally learning to ride him; he doesn’t do the jackhammer-trotting-giraffe-head thing so much anymore. If I have a slip-up and bump on his back by accident he doesn’t panic anymore, and if he makes a mistake and overjumps something I can stay so much calmer than I used to. There’s a connectedness between us now, in the way we move around each other. It’s hard to explain, but I finally feel like he really is my horse. Unfortunately, having a better bond does not immediately result in better technique. We have moments of sheer awesomeness, and then we have moments of epic fail. Frankly, we look horrible. But we’re finally learning to enjoy each other, and that’s what it’s all about. And canter in a frame! Thanks again to Viva Carlos for a quick post idea after a long day! How many pairs of breeches/jods do you own? Three – a beige one for outings, a white one for shows, and a black one for work (yes, working at a coloured horse stud in black jods doesn’t always work out so well). How many horses have you ridden? Hmm… a bunch. Probably 10 different horses with my first trainer, six of my own, maybe 15 random horses the Mutterer put me on when I used to shadow him everywhere, 10-12 horses I trial rode for people or competed on once or twice, probably another 10 at horse camps, and somewhere between 20 and 30 for my clients. So somewhere between 60 and 70, maybe a little more if we’re allowing for random horses I don’t remember (sorry random horses). How many trainers have you had? Three, not counting once-offs with dressage or cross-country trainers. How many barns have you ridden at? Not counting show/clinic venues, only three. What is your favourite show name you’ve ever encountered? For Joy, name of the amazing stallion standing at Callaho Stud. Special Effects – a piebald stallion – comes in a pretty close second. Somethingroyal (dam of Secreteriat) is up there too. What is the name of the first horse you rode? No idea; in my defence, I was two. The first horse I remember riding (and falling off of) was a little bay pony named Prinsie (“little prince”). Thursday morning my poor longsuffering daddy (who had been subject to the “Daddy, can we keep him even though we already have four?”) and I fetched Exavior and brought him home. I was quite nervous about loading him, considering that he injured his leg on a horsebox ramp and would remember that bad experience, so I expected a few forelegs flying around our ears and so on. He was very good about having his boots put on, though, even on his bad leg, and judging by his high-stepping antics at the weird feeling of back boots, it’s not hurting him. The cut itself has healed very, very nicely with only a thin little scar and some swelling/thickening under the scar (which I assume is scar tissue as there is no heat to indicate inflammation), and there is no damage to his hoof or anything permanent that can be seen on X-rays. I have a lot of hope for him. He was jumpy about the box and dug his toes in a few feet from the ramp, dancing around when anyone tried to push him on from behind, but I was very impressed that he didn’t rear or kick out at all – he was just scared, and his reaction to the fear was very reasonable. 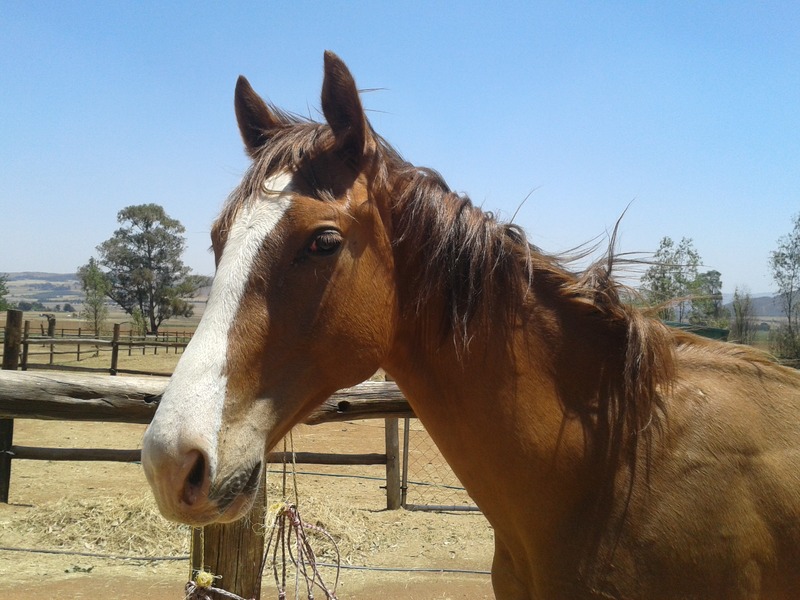 The Mutterer has been working with him for most of his young life, and his patience and firmness is definitely evident in the colt’s trust and respect. Luckily for me, the Mutterer was on hand and smoothly took over to talk Exavior into the box step by trembling step. I felt like such a jerk for making the poor baby do something that obviously scared the living daylights out of him, but it’s all for the best. I kept an eye on him with our horsebox camera for the entire trip and while he was fidgety and very worried, he didn’t do anything worse than paw at the floor of the box. The oddest part for me was trying to unload him. Our box is so wide that I could turn him around and walk him forward down the ramp, but he froze. 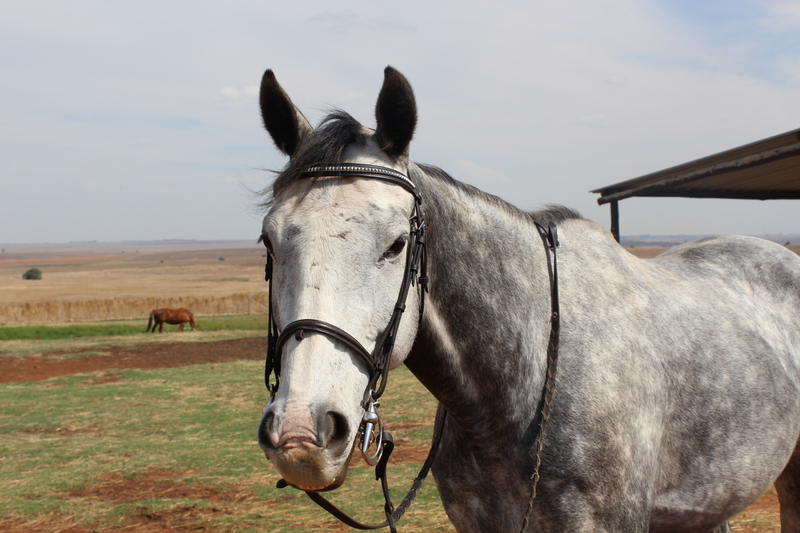 Most of the horses I’ve worked with are more than happy to get off, usually with a flying leap or some dragging around of the human, but he just stood there with his poor little eyes wide and staring. When he did eventually go forward he tried to clear the ramp with one big jump. I can only think that his injury occurred when he was getting off the ramp. But with his sensible nature, I think I can school him to be completely relaxed about boxing eventually. Anyway, the little guy is now safely installed in the round pen, which is inside Skye and Magic’s pasture. 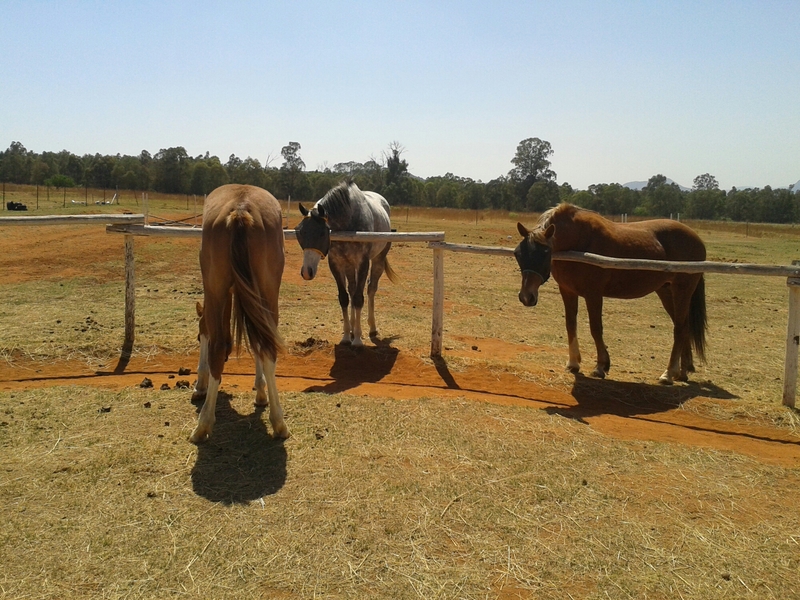 They have been making friends over the fence before I try to put them together and then teach Exavior not to run through electric fences. 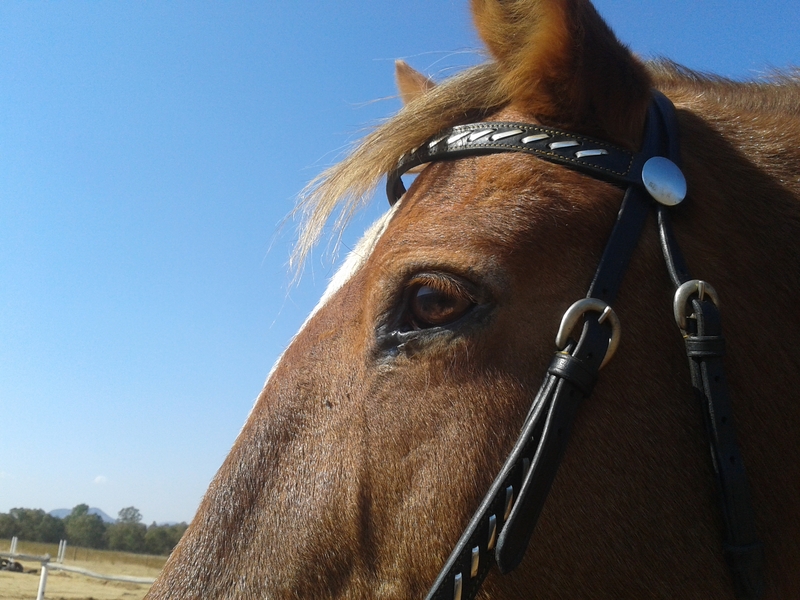 I can only pray that he won’t hurt himself, but I have to let him be a horse, as hard as it always seems. He seems to be a quiet soul so far, with no running up and down shrieking the way some of them do at new places, and even when he’s very stressed he doesn’t rear or turn aggressive. He’s a bit silly about having his ears and back legs handled, but nothing major. I’m sure that once we start to get to know each other, he’ll quickly settle down and let me do what I want. The rest of the Horde is quite simply thriving. The first rains have come, and while Magic was desperately unimpressed with getting wet (as usual), their grass is starting to grow out and hopefully I’ll have grazing for all of them this summer. Arwen and I have been working hard on speed and fitness. 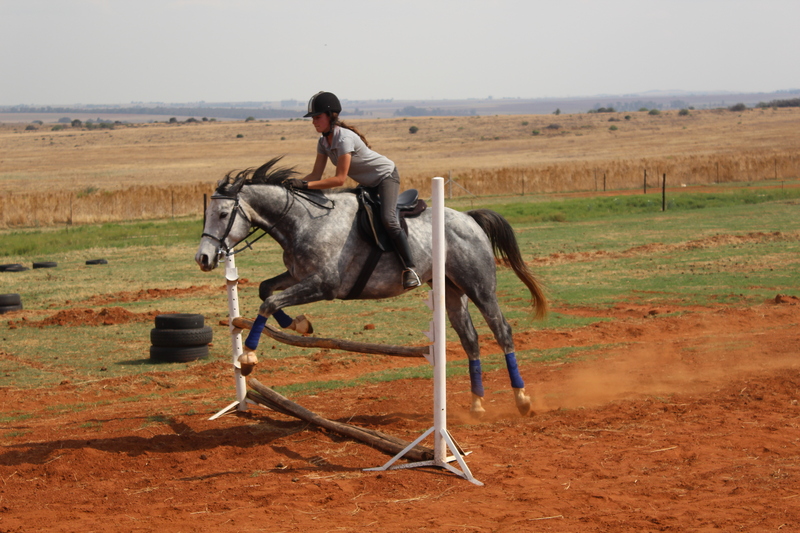 Because she’s almost a pony, and not a long-striding horse at all, her biggest disadvantage is going to be speed across country when she’s up against warmbloods and thoroughbreds. Luckily, she does have two of the Nooitgedachter’s greatest strengths – stamina and toughness. Arwen will keep running no matter how tired she is, and it’s pretty hard to make her tired. She doesn’t much care what the weather is doing, although she wilts a bit in the heat. She doesn’t care what the terrain is like or what the jumps look like; conditions don’t affect her a whole lot, because she’s tough as nails. But with her tiny stride, she’ll have to be twice as fit as any other horse to be able to get across country without time penalties. Arwen will have to sprint where big horses could hand-gallop. Our intervals are coming along relatively well; I have been shortening the rest interval and upping our speed every time. We started at 22kph and have managed to get up to 28kph, fairly constantly maintained over a five-minute interval. 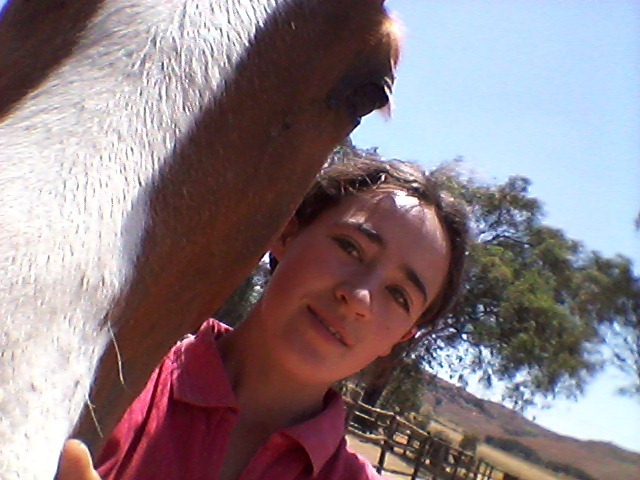 It’s nowhere near where it has to be – I need her to maintain a constant 18kph over a cross-country course for the lowest level, so she’ll have to be faster on the long gallops if we’re going to be able to adjust through water and combinations. As the levels go up, the speed actually doubles, so we have to push it. Arwen has the schooling, the courage, and the carefulness to jump a safe and clean cross-country round; now we just need speed. This meant that today’s lesson with the Mutterer involved galloping flat-out down the long side of the arena, going to a walk in the corner, walking the short side and then galloping the next long side again. We were going at what I thought was a pretty fair clip, but the Mutterer was yelling “Faster! Faster!” all the time. Arwen of course had a field day; she adores running, and it was insanely fun, just a bit adrenalin-inducing when we were bouncing off the fences. However, it appears that we still weren’t fast enough; “Your ultimate goal,” quoth the Mutterer, “is to make her go so fast you cry.” Point taken; we shall be galloping on our hills and intervals next week. I’ll actually probably put some galloping work into her dressage sessions as well. 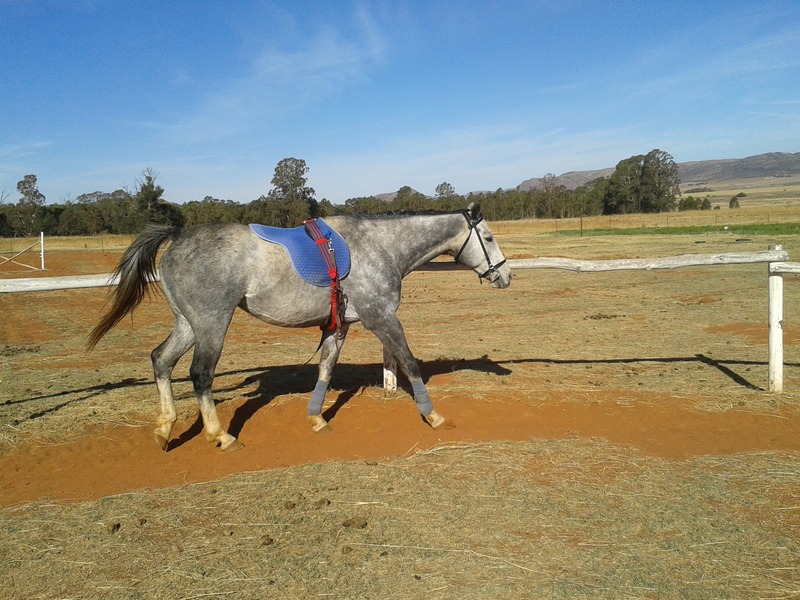 After galloping, her canter quality increased tenfold; she engaged her hindquarters spectacularly and actually had a slower canter that was lighter in my hands than before the gallop. She is starting to lose a bit of her pop now, which is not surprising considering that she’s working 5-6 hard days per week on 500g of 12% maize-free pellets. Because she blows up like a balloon, I can’t exactly feed her more than that, but the Mutterer suggested putting her onto a 16% or 21% racing feed. I’ll definitely try it; she might be a bit of a loon on that but I don’t mind holding onto my hat a little as long as she keeps her brain working. I prefer having to cling onto a slightly hot horse rather than kicking the life out of a half-dead one. One of the most misunderstood terms in the horse world, in my experience, is “good condition”. A horse is often said to be in good condition when he is, in fact, merely fat. If someone tells me a horse is in “very good condition”, I tend to want to run a mile, because horses thus described are generally obese. Obesity in horses is as serious, and nearly as widespread, as in humans. It can lead to a variety of health issues (similar to an overweight person’s), such as laminitis, joint strain, heart problems, equine metabolic syndrome (horse diabetes), lethargy and inability to do even gentle work without considerable discomfort. In fact, obesity is a form of malnutrition, just like starvation. A horse who wobbles all over when you poke it isn’t in very good condition; it’s malnourished. Just not in the way that we usually think of when that term is used. Achilles (Thunder’s daddy, by the way) when he was obese. You can see the excessive crest on his neck, the roundness of his quarters, and the fleshy pad behind his shoulder. He was in no type of work at all when this picture was taken. True good condition comes in several forms, most notably hard condition and soft condition (both terms being somewhat dated by now, but still pretty relevant). 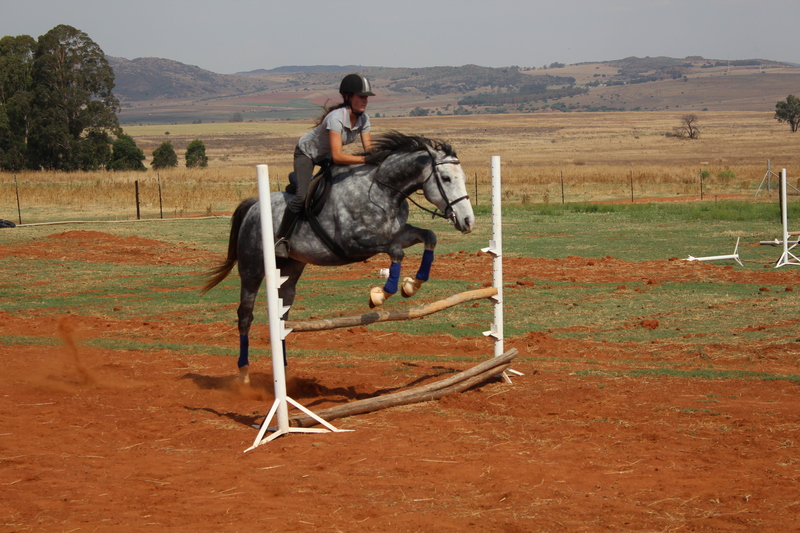 Fit horses in moderate to hard work are in hard condition. I personally like my working horses to be a little on the trim side; it is not quite as attractive as a well-rounded horse, but easier on their legs. 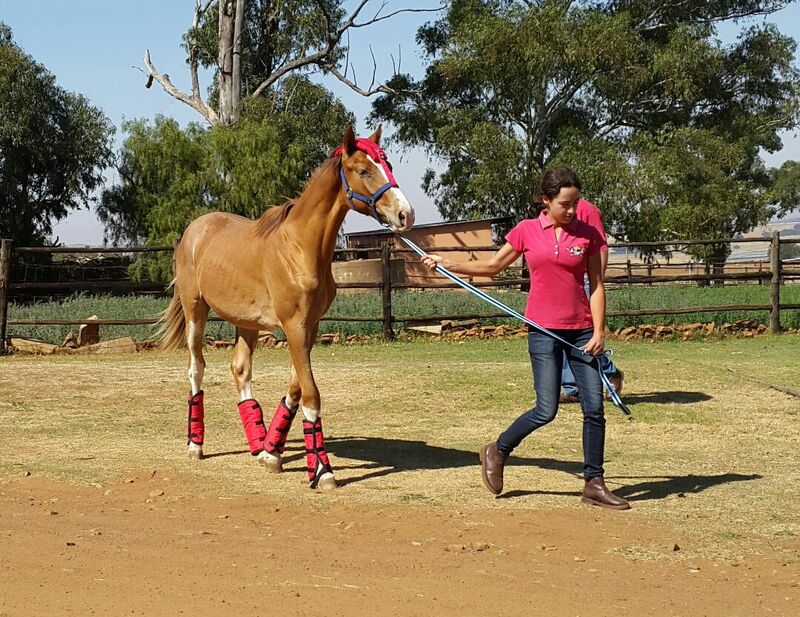 A horse in hard condition is lean and powerful; he is hard and supple all over, and his muscles are powerful and well developed, especially across the neck, back, loins and hindquarters. The outline of his ribs may be visible when he moves. His musculature means that each part of his body flows smoothly into the next, but all his muscles are well defined. His tummy is tucked up, showing toned stomach muscles, and when he is carrying himself well a line stands out on his side underneath his ribs. This is a kind of horsy six-pack and shows that he’s using his stomach muscles. One should be able to feel his ribs easily when running your hand down his side, but his coat should be shiny and move easily over his bones, and his strong muscles should show that he is far from malnourished. Arwen demonstrates hard condition. She could do with a bit more muscle on the top of her neck, but you can see her well developed back and haunches, tucked tummy, and the faint outline of her last rib. Horses that don’t do much work – like retired or resting horses or broodmares – are in soft condition. A horse in soft condition is healthy but not fit. His coat is supple and shiny, and he does not wobble when he moves. He may have very little muscle tone and a hay belly (not a worm belly; there is a difference) is likely to be present. However, he is not overweight. 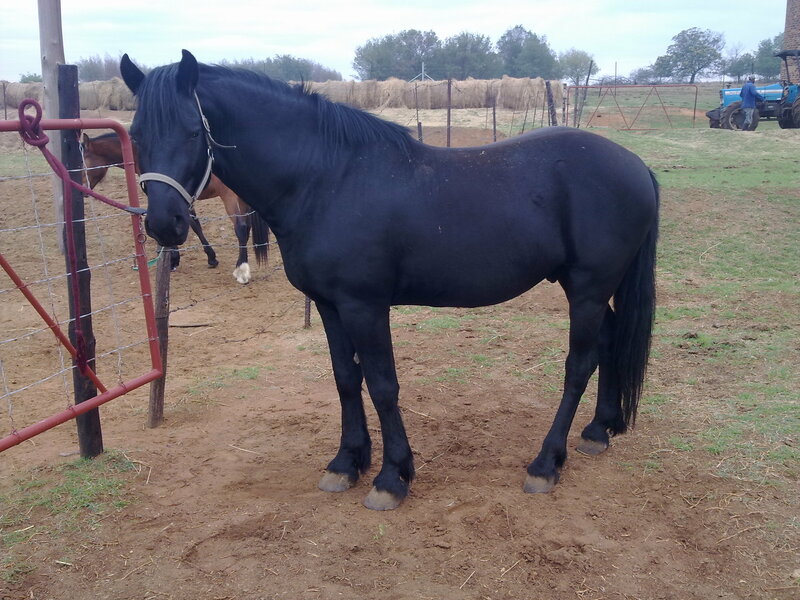 He is fatter than the horse in hard condition, but his ribs are easily felt, and there are no thick fleshy pads of fat visible. His body parts join smoothly together, but are still well defined, and he moves around his pasture without effort or heavy breathing. 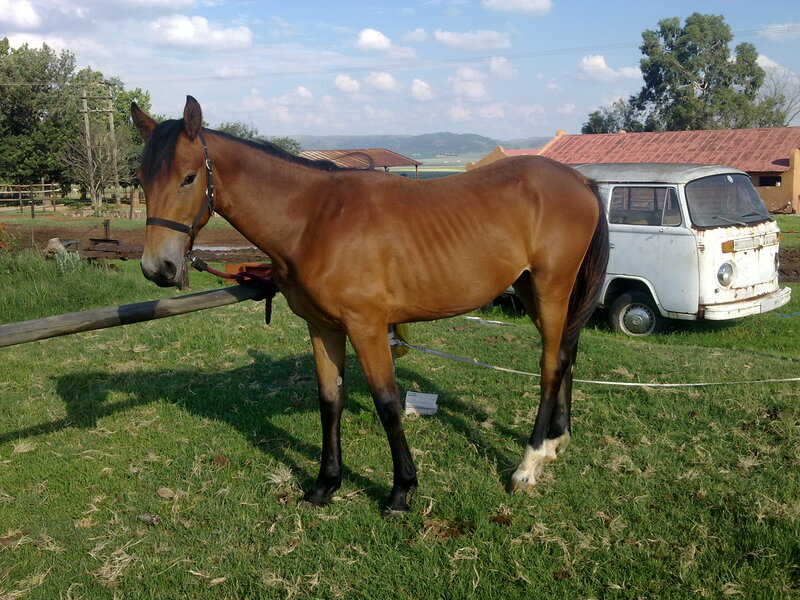 I would say that a horse whose last ribs cannot be felt is significantly overweight, but will add that a broodmare in the latter stages of pregnancy can run slightly fatter. 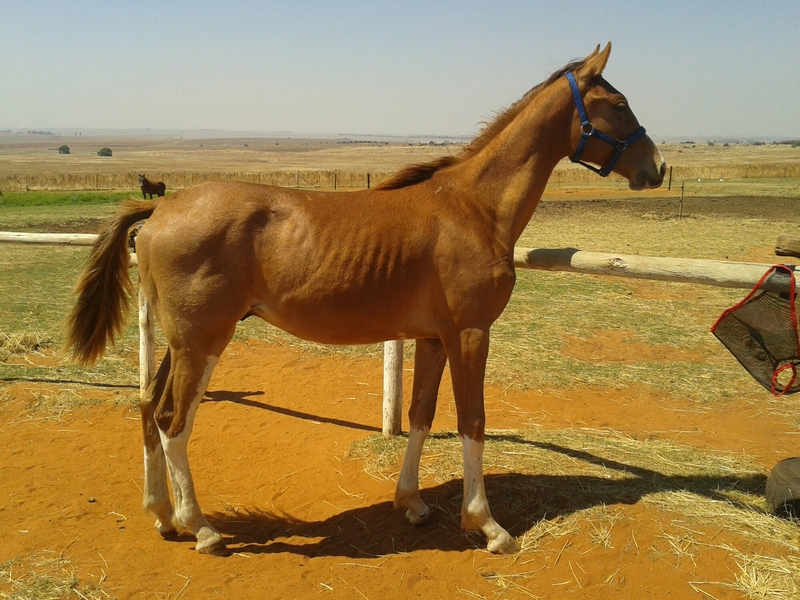 She will lose her excess weight when she foals, and she needs to be in good condition to conceive again. An overweight mare will not conceive well, but nor will an overly thin one. Achilles again several months later, now in good but soft condition. He is still not in any work, but you can see that he has lost the fleshiness over his ribs and the excessive crest on his neck, and his shoulder and hip are much more defined. 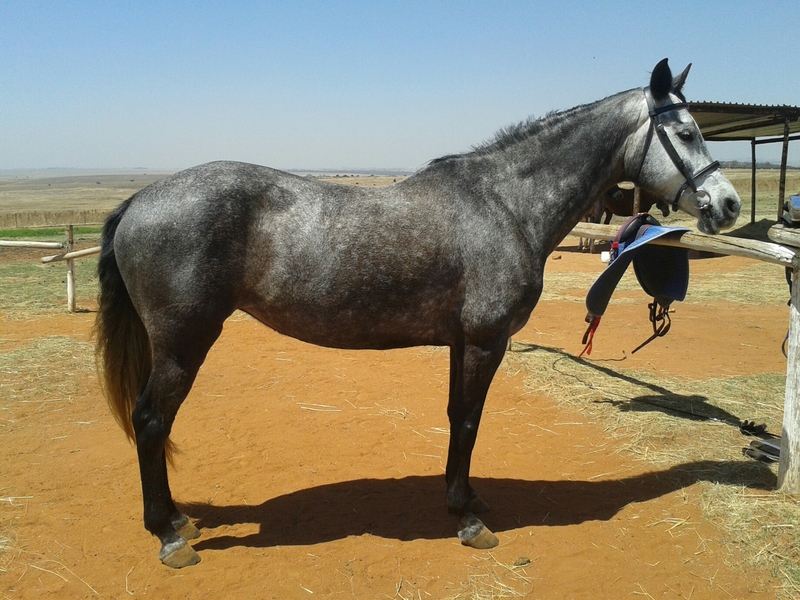 There is one circumstance where I consider a somewhat skinny horse to be in good condition, and that’s in the case of a young, growing horse – let’s say between six months and two and a half years of age. 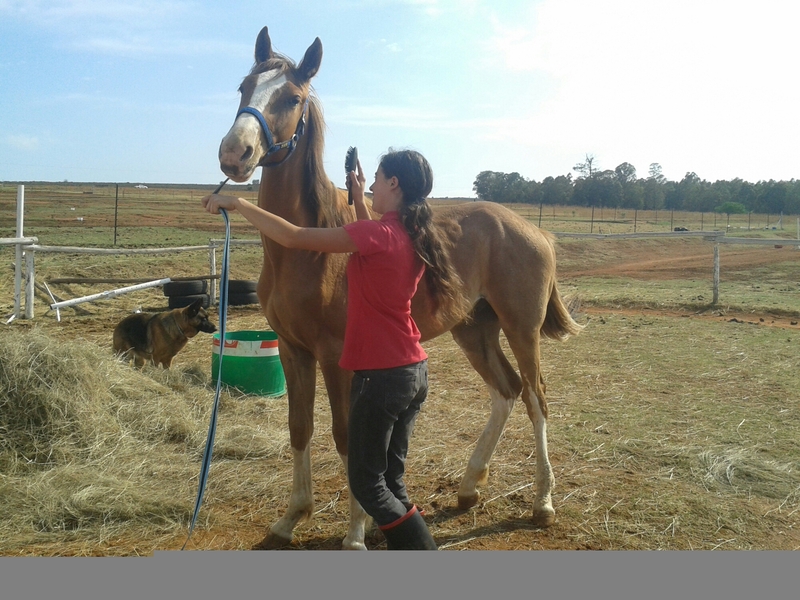 After weaning, young horses often become a bit ribby, and their owners tend to panic and stuff them full of concentrates. This isn’t necessary, and could even be harmful if one feeds more than 1kg of concentrates per day to a weanling. Have you seen a teenage guy lately? They’re like matchsticks, because, like young horses, they are growing like weeds, usually in spurts. Their food all seems to go upwards instead of sideways. (Wouldn’t it be nice if that happened to all of us?) Once they mature, they’ll bulk out again. 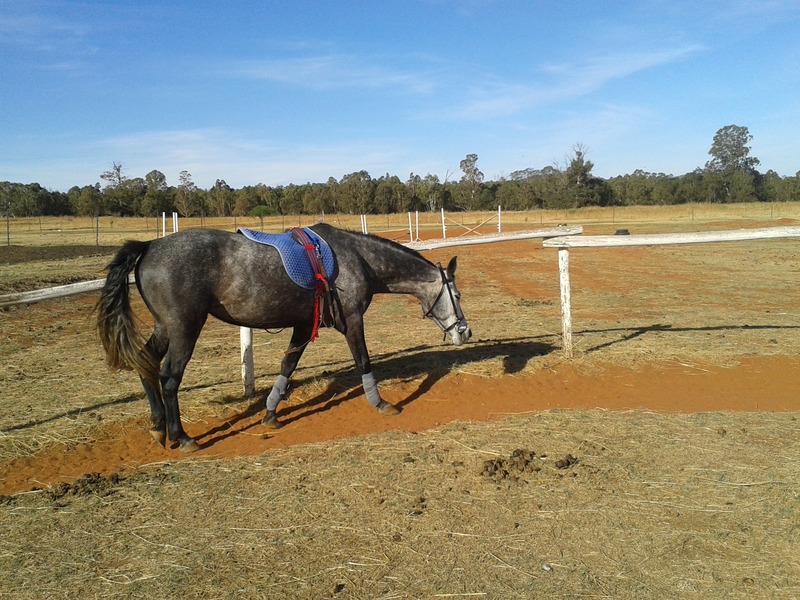 It is in fact healthier for a young horse to be on the ribby side. 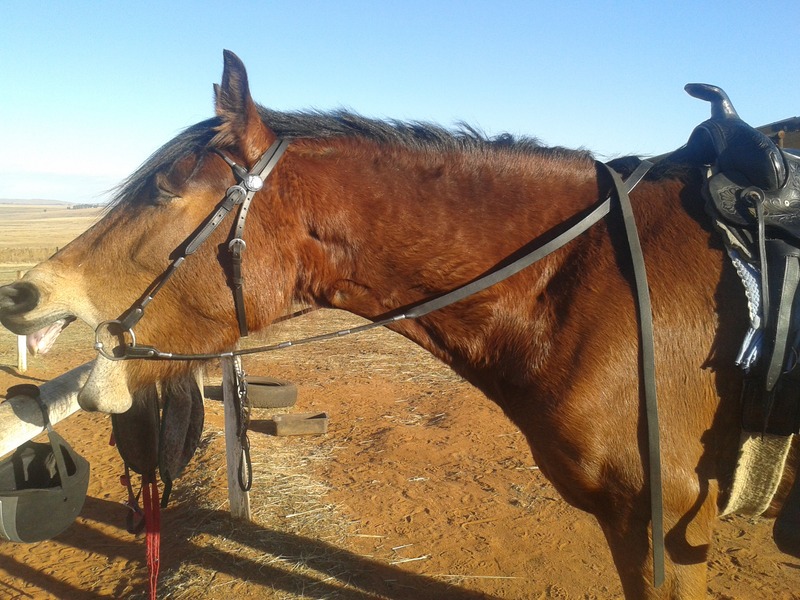 Young bones and joints don’t need to carry excess weight, and a young horse that is fed so much that he gets fat is generally growing too fast, so his bones are likely too soft. Add his excessive weight into the equation and you could end up with permanent damage or weakness in his bones, specifically the legs. 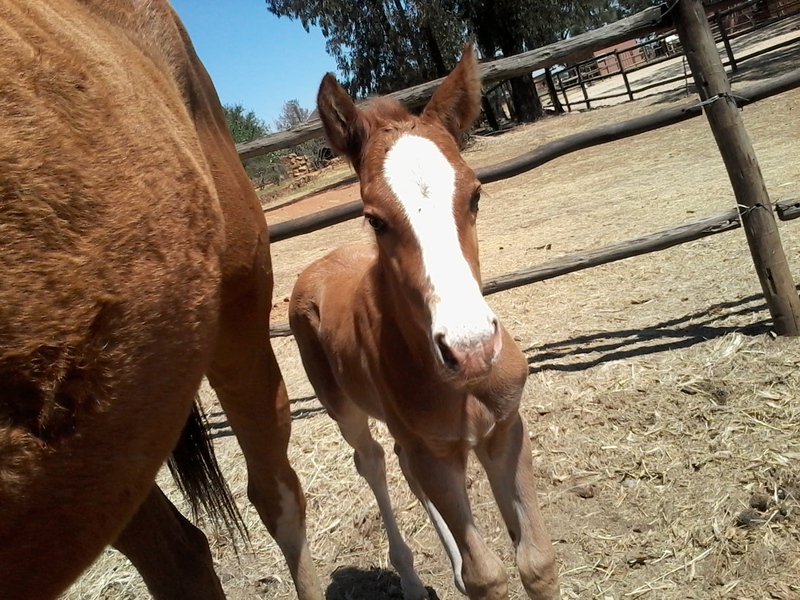 Just a couple days shy of a year and a month ago, I went to work to find this little newborn treasure in the paddock. My first thought was, he’s going to grow up pretty amazing. My second thought was, I hope someday I can get to train him. … is coming home to join my Horde. Yay for blog hops! Seriously, I love them, and Hand Gallop has chosen a totally awesome subject for her first one. Kudos! Hand Gallop writes: What’s the origin of your horse’s show name and barn name? We’ll start with Skye, like we always do. Long, long ago when we bought Skye, I was still so little that I wanted to name her Mango because I liked mangoes and she was sweet and orange. (In retrospect that does kind of make sense, but the name definitely smacks of seven-year-old). My dad, sister and I were having a tremendous argument about it when my mom said, “We’ll give her the name you never got.” I was going to be called Skye until my parents tried saying “Skye Hyde” and gave up. It’s a pretty name, so Skye she became. 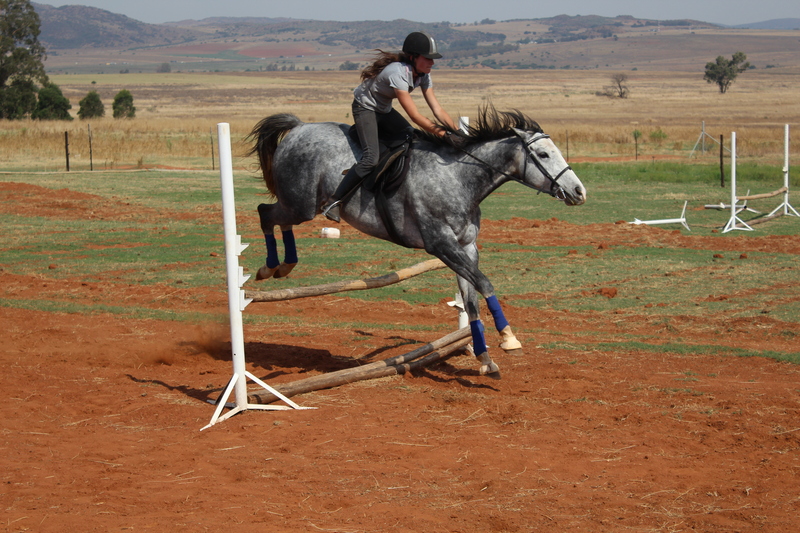 Years later when I was registering horses I lengthened it into Skye’s the Limit because she always made me believe that we could do anything – that the sky’s the limit. Arwie’s breeder was a major Lord of the Rings fan, so it wasn’t much of a shock when she named the dainty little black filly Arwen. I think it really suits her. She’s sharply pretty, has a star on her forehead, and in the words of the Mutterer “she’s got ears big enough for any elf.” When I was trying to give her a show name, I only had to scroll down a list of the LotR Arwen’s full names when I saw Arwen Evenstar and it fit like a glove. The diamond on her forehead fulfills the name perfectly. The worst part was at this one show where the announcer simply could not get her name right. I was thoroughly tired of being announced as riding “Erwin Ehvenstur” by the time we got a placing and the guy showed up to give us our rosette and complained about her name. The worst? He was English and had seen Lord of the Rings. Seriously, announcer dude?! Arwen actually spent a large portion of her three-year-old year being called “Missy”. She was a little gawky plank of a horse and didn’t seem to quite live up to “Arwen” yet, so she became Miss A and eventually Missy. 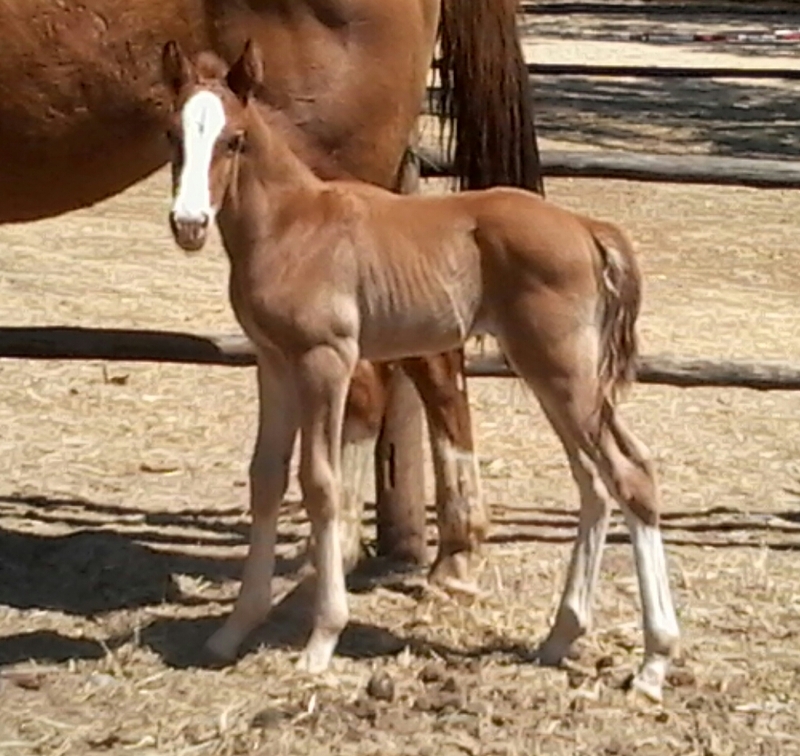 When she had her third foal, I quit on the idea of “Missy” and she became Arwen again. As for Baby Thun, I wanted to name him something related to his parents’ names: Skye and Achilles. I liked the sound of Thunder as a colt’s name and it worked with his mom’s name, and I was heavily into mythology at the time so Thunderbird came naturally to bring a mythical element in from his dad’s name. If he was a girl, he was going to be called Ladyhawke or Sonador. To be honest, I didn’t give filly names much thought. I wanted a colt, I prayed for a colt, and I believed so hard that it was going to be a colt that I don’t think it could have been otherwise. 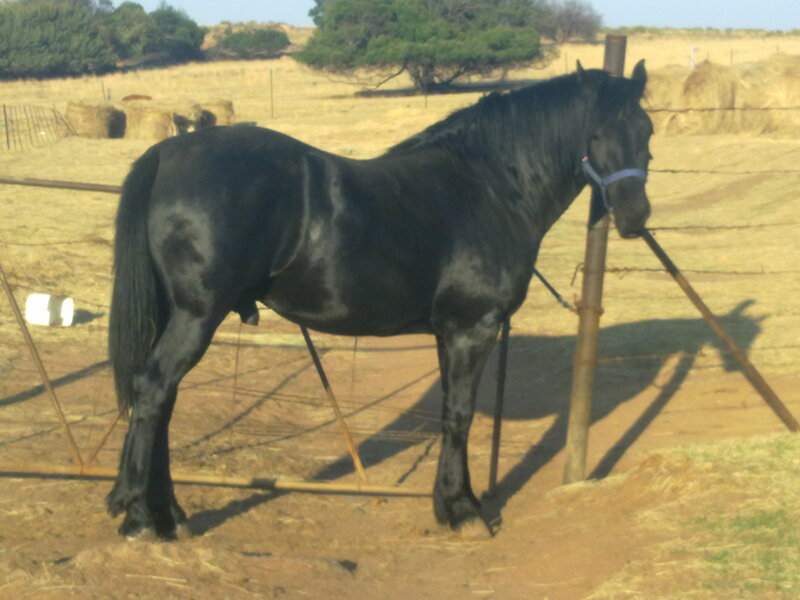 Poor Thunder’s greatest downfall is that I didn’t consider any Afrikaans people when I named him. The “th” sound doesn’t exist in Afrikaans, so he’s generally known as Funner. Lastly, Magic. The poor dude raced as Gadsfly. He was only 15.1hh when he came off the track, so I can only imagine that he must have been a tiny black yearling that buzzed around like an annoying fly and was hence named Gadsfly. Poor guy, it’s no wonder he lost all his races, I also wouldn’t want to win under that name. By the time I met him, everyone knew him as Magic, which seemed to suit him well so it stuck. I abandoned the Gadsfly idea when it came to registering him. I liked the “fly” part and I liked his stable name, so I plopped them together and came up with the ridiculously cheesy Magical Flight. I know it’s a pony name, but it suits him. 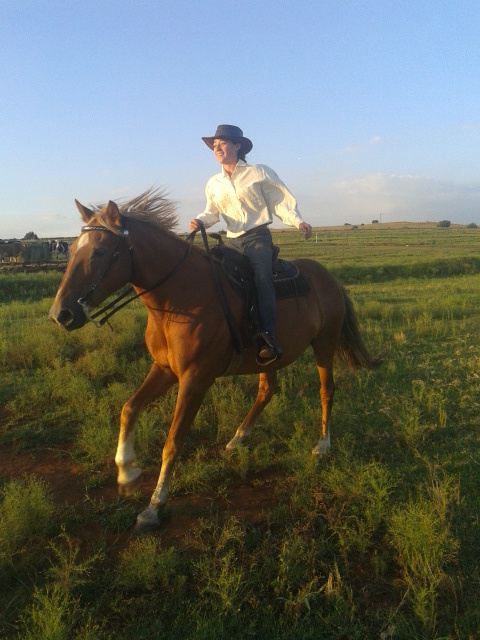 No, not me, I’m all better and back in the saddle. Horses’ heads. It’ll all make sense in a moment. 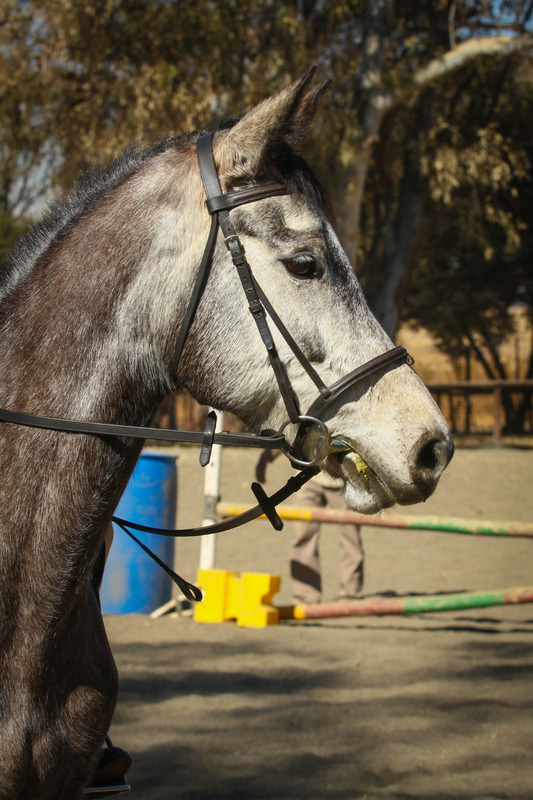 While most of teaching connection in dressage (or “contact”, “on the bit”, “in a frame”, “in an outline”, “on the aids”, “accepting the bit”, or whatever your favourite buzzword is) involves getting the horse’s head further up and further in, it’s also important to teach your horse to stretch down and out. For one thing, you have to do both a free walk and a stretchy trot circle as early as Prelim if you want to compete. For another, it’s a valuable tool. 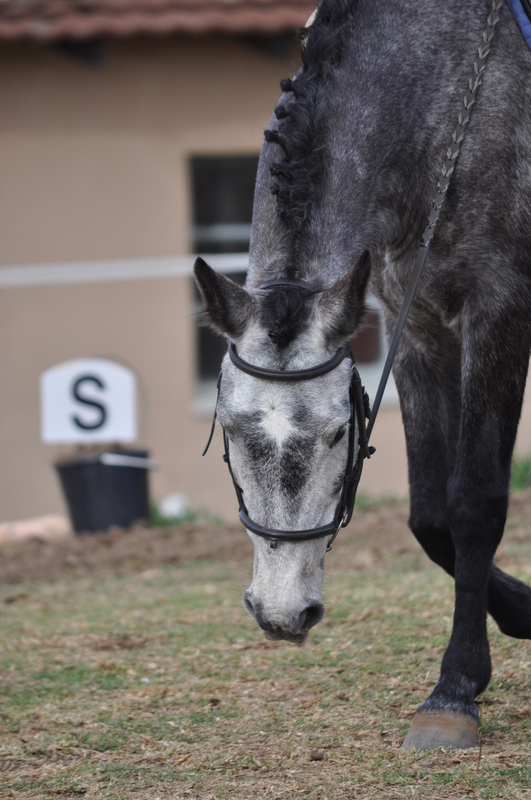 Stretching the neck down and out mimics the horse’s natural head position when grazing and is a sign of relaxation. It’s a good way to cool him off after a workout; if I’m demanding something hard of my horse and he gets it right I often reward him with a change of rein in a free walk before going back to work. Unfortunately, many young horses resent being asked to stretch, especially the hyper, jumpy, forward types. Others just have no idea what they’re supposed to be doing. 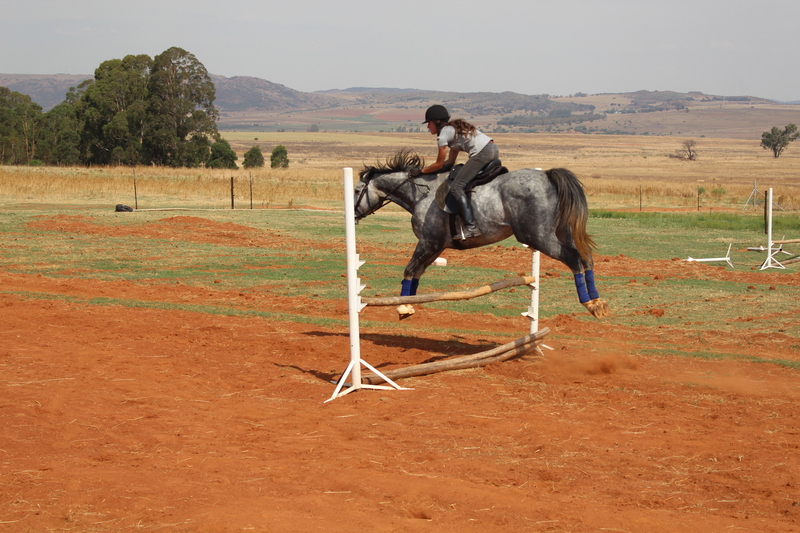 The good news is that any relaxed horse will do it by himself given the opportunity. The bad news is that a non-relaxed horse will not do it unless you dangle off his head or something drastic. I have tried, by putting a hand on the crest of the neck and leaning on it, to show them to drop their heads. Maybe this would work if you were not a midget, but all it did for me was make the horses think I was daft. You could also try getting them to do this on the ground with a pressure halter, but the real key is to relax the horse. 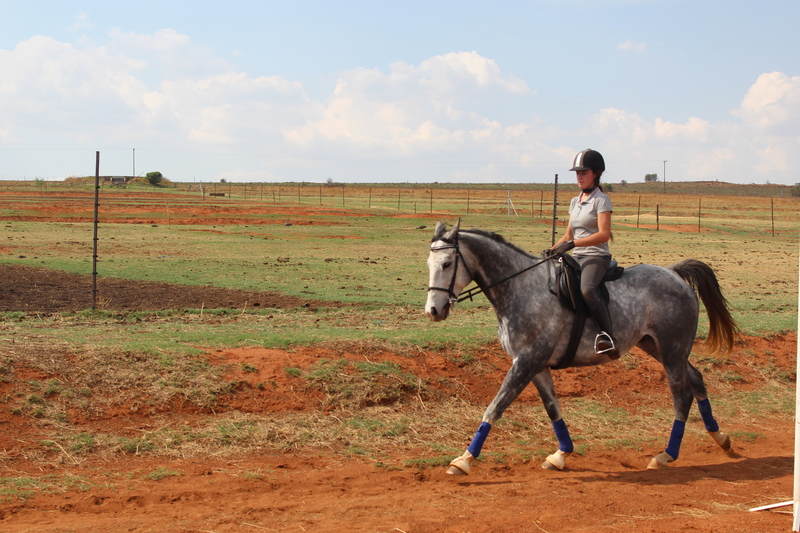 So usually I teach it either under saddle or on the lunge; usually trying under saddle first. I like to try it after a really good workout, especially one involving a lot of connection. 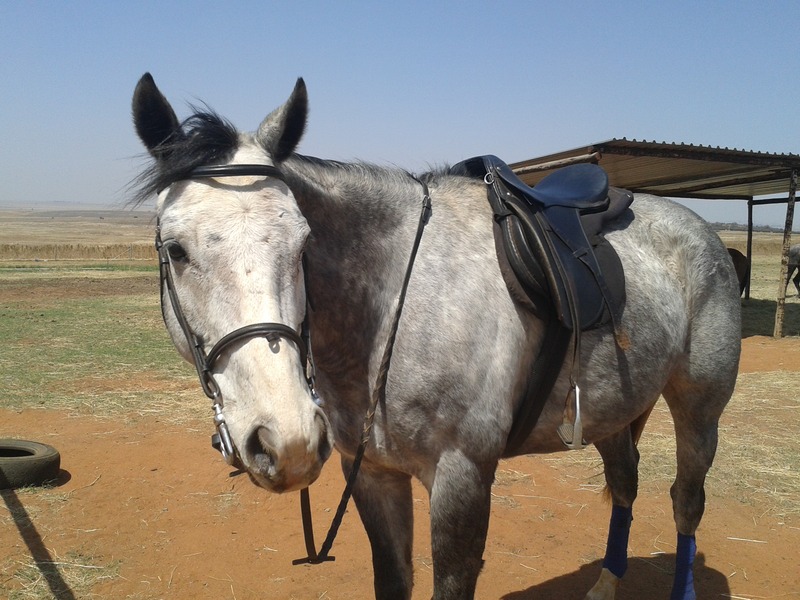 When the horse is tired he is usually far likelier to relax and behave himself (in general, a tired horse is nearly always a well-behaved horse). Bringing the horse down to a walk, I’ll demand a really nice medium walk from him with his head on the vertical or (if he’s a tough cookie) even slightly behind it to really work his neck muscles. Then, quite steadily, I let the reins slip through my fingers. 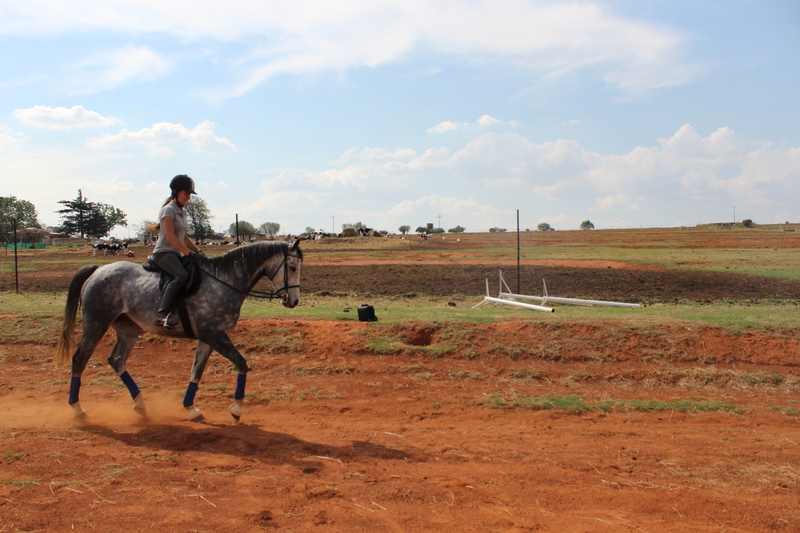 Most horses are happy for the rest and will stretch down beautifully. Even if I can only get a stride or two strides the first time I give him a pat and then let him cool off on a loose rein. If that fails, then the horse usually doesn’t understand that he’s supposed to put his head down. 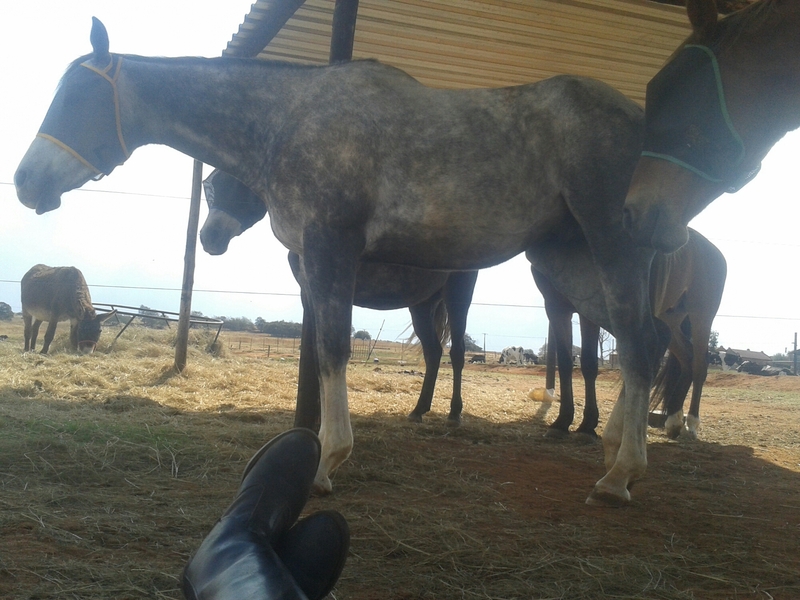 (Horses that are good at connection are often good at stretching, too). That makes me put him back on the lunge and put on a standing martingale, de gogue or very low side reins. The de gogue seems to make the most sense to very green horses and is quite easy on the mouth, so usually I try this first. It applies quite strong poll pressure, which encourages the horse to drop his head down. Luckily for us, stretching is its own reward, so once they’ve done it a few times and realise how nice it feels, the deal is normally done. Some horses look their best when they stretch, if you remember to make them engage their bottoms; they get a lovely swinging stride and start moving their backs. Then the hard part is getting them to trot in a circle without falling in or making a squircle, but that’s more to do with responding to the leg aids. What’s brought this to mind recently? Well, it’s yet another difference between Arwen and Magic, and stood out dramatically when I lunged them both on Monday. Arwen is the reigning queen of stretching. Her free walk more or less involves digging a hole in the arena with her nose. She’ll even canter on a loose rein with her face almost between her knees. Magic, on the other hand, totally doesn’t get it. His conformation – a very short neck on a high wither – doesn’t help. Even when he is stretching, he doesn’t look it, because the neck is so short and the legs are so long. Being highly-strung and not very supple also makes it hard for him. We are finally getting him to stretch in walk so that his bit is at the point of his shoulder, so I expect he’ll eventually get it.